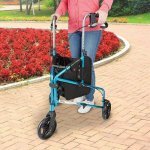 Lifestyles Rally Lite 729 3-Wheel Walker Lightweight Rollator by Lifestyle Mobility Aids. The Rally Lite 729 3 wheel walker/ rollator offers many great features in a light weight 3 wheel walker at an economy price. The Rally Lite weighs only 10 lbs. and offers a one touch easy folding knob, for ease in storage and transportation. The Rally Lite also offers great safety features such as locking loop brakes and easy lock manual brakes. 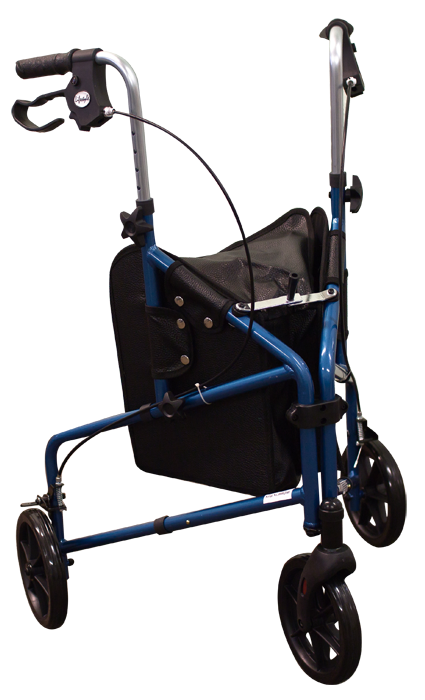 This walker is available in many different colors, to suit any need. The Rally lite is also height adjustable from 31" to 38". Available in Laser Red, Laser Blue, Laser Purple, Black, Sky Blue. Handle bars adjust from: 31" to 38"